Tracking hedge fund and insider transactions is crucial to our investment strategy. Our research has shown that the 15 most popular small-cap stocks among hedge funds historically have outperformed the market by 18 percentage points (see the details). In addition, recent studies on insider trading have shown that investors can outperform the market by 7 percentage points by following certain insider purchases. Insiders have strong incentives to diversify their wealth away from the company they work for — and therefore reduce their risk. Them ignoring the benefits of diversification and buying the company´s stock anyway can be interpreted as a signal of high confidence in the company. This is why, in addition to using hedge fund filings to develop investing strategies, we also maintain a database of insider purchases and take a brief look at significant insider buys to help investors decide if the company is worth further research. 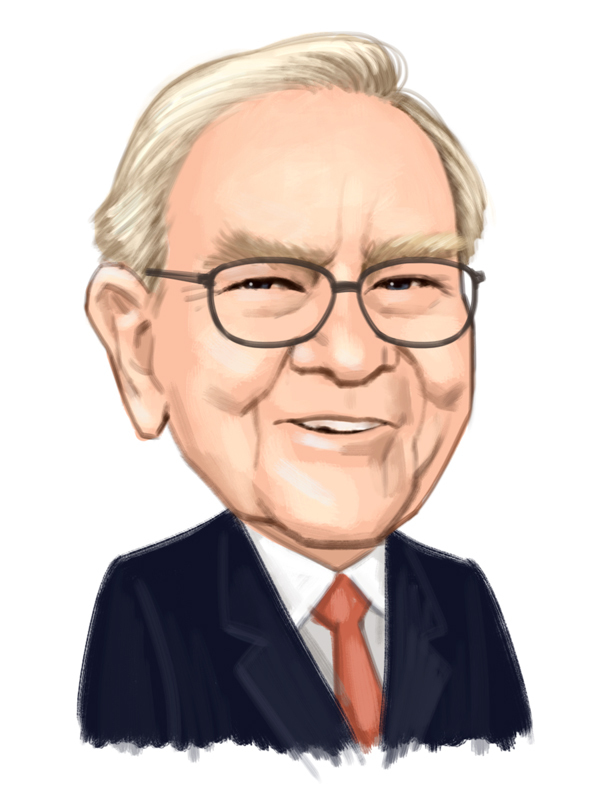 In this article we will look into five companies that are both present in Warren Buffett’s – Berkshire Hathaway’s- equity portfolio, and have witnessed insider purchases over the past six months. First on our list is a Phillips 66 (NYSE:PSX), a downstream energy company with a market cap that surpasses $46 billion. Although in the last 13F form filed by Berkshire Hathaway at the U.S. Securities and Exchange Commission, the fund declared that its position in the company remained unchanged over the third quarter of 2013, its bets are still quite high. The fund owns more than 27.16 million shares -valued at more than $2 billion- which account for almost 2% of the total value of its equity portfolio. In addition, one Board Director, William Loomis Jr., also placed a bet on Phillips 66 (NYSE:PSX) over the past six months. Less than three months ago, the insider acquired –his first- 7,760 shares of Phillips 66 for $64.4207 per share. The stock is up almost 20% since his purchase, and could continue to rise, since it only trades at 13.4 times the company´s earnings, very close to its peers´ average. Moreover, analysts expect it to improve profitability as several initiatives (like increasing exports, divesting underperforming assets and diversifying away from refining and into the midstream and chemicals segments) start providing results. Another interesting case is that of Mondelez International Inc (NASDAQ:MDLZ), a $60 billion market cap confectionery products manufacturer. Although Berkshire Hathaway’s stake in this company only comprises 0.01% of its total holdings, its 578,000 shares are still worth more than $19.9 million. Furthermore, Buffett is not the only one feeling bullish about this stock: 5 months ago, Lewis Booth, Board Director at Mondelez International Inc (NASDAQ:MDLZ) acquired 6,470 shares for $30.895 each. He now owns 14,189 shares of a company that is expected to deliver decent EPS growth rates over the next few years, mainly on the back of limited competition, high international exposure, and a leading spot in various food segments (with world renown brands like Oreo, Cadbury, Tang and Trident). In the third place in our list is the mega-cap diversified industrials company, General Electric Company (NYSE:GE), of which Berkshire holds 588,900 shares, appraised at more than $15.2 million. Opinion among analysts is quite divided in relation to this company. About half of them rate is as a buy case, and the other half, as a hold case. However, the balance is generally tilted towards a buy or overweight recommendation (Barrons/WSJ, Morningstar, Yahoo! Finance), mainly in account of its stability, scale, market position, below average valuation (at 18.6x P/E, versus an industry average of 21x) and dividend yield (usually above 3% of the stock price). And not only Buffett seems to agree with this view. On Jan. 21st, James Rohr, Board Director at General Electric Company (NYSE:GE), acquired his first 10,000 shares of Common Stock for approximately $300K. In two separate transactions, the insider paid $26.19 per share for the first 4,200 and $26.18 per share, for the remaining 5,800. Since he just started a position in the stock, these 10,000 shares are all that he owns. Additionally, another Director, William Beattie also purchased 2,000 shares for $26.23 each, and now owns –indirectly- almost 45,200 shares. Bonus Track: Berkshire last declared that, amongst its preexisting holdings, it was DaVita HealthCare Partners Inc (NYSE:DVA) that saw the most activity. Over the third quarter of 2013, Buffett’s fund increased its participation in this large-cap healthcare services company by 110%. It now owns more than 31.4 million shares -worth about $2 billion- which account for almost 2% of the total value of its equity portfolio. Besides this marked increase in Berkshire’s stakes, an insider at DaVita HealthCare Partners Inc (NYSE:DVA), Ted Weschler, repeatedly bought shares of the company over the past six months. Starting in July of 2013, through several transactions, he added about 5.83 million shares to his diverse –direct and indirect- holdings. However, these acquisitions are tricky: Weschler is part of a group which is a subsidiary of Berkshire Hathaway. Berkshire Hathaway Berkshire Hathaway (BRK) Buffett Cadbury Davita Healthcare Partners Inc. (DVA) General Electric Company (GE) Hedge Fund:1 James Rohr Lewis Booth Mondelez International Inc. (MDLZ) NASDAQ:MDLZ Newsfeed NYSE:DVA NYSE:GE NYSE:PSX Oreo Phillips 66 (PSX) Tang Ted Weschler Warren Buffett William Beattie William Loomis Jr.